Well, so much for civil discourse. CHAPEL HILL — Protests turned violent during a Tuesday morning meeting of the UNC Board of Governors as students and faculty gathered once again to call for the removal of UNC president-elect Margaret Spellings, former secretary of education in the George W. Bush administration. Four students were arrested after physically resisting police, and though at press time none has been identified publicly, all face charges for disrupting the meeting, according to Jeff McCracken, chief of the Campus Police at UNC-Chapel Hill. The protests began in silence, but erupted into shouts and demands during the board’s discussion about program cuts at East Carolina University. Students swarmed the boardroom table, chanting and shouting before being removed forcibly by police. Several students occupied the board members’ seats and used the microphones to shout and chant, “Stand up, fight back,” and “No justice, no peace.” One student took the gavel at the chairman’s seat and pounded it against the table in rhythm with the chants. SHUT UP!, the protesters explained. UNC Public Safety officers arrested and charged Irving Allen, Femi Mimi Brown Shittu, Jen Myers and Madeleine Scanlon with disrupting an official meeting and resisting arrest, according to a Facebook post by Bryan Perlmutter, director of Ignite NC, an activist organization focused on social justice issues in the state. Oh gee — according to “Bryan Perlmutter”. SHOCKER. Perlmutter is involved in way more far left outfits than Ignite NC such as Education Justice Alliance (EJA), NC Coalition for Education Justice (NCCEJ), Student Power, Youth Organizing Institute (YOI), NC Queer Youth Power Coalition, Moral Monday and Occupy. No faculty members participated in Tuesday’s disruption, but professors made their sentiments known in a quiet protest before the start of the meeting. Robinson, who has helped the Faculty Forward Network — a New York City-based coalition of professors, students, and parents affiliated with the Service Employees International Union — conduct a survey of 1,400 UNC faculty members, says that many professors are deeply unhappy with the direction of the system, particularly with the lack of funding for new construction. I had been digging into Faculty Forward just prior to this turn of events. They are 100% SEIU run and backed and are the equivalent of the union driven protests to raise the minimum wage like “Fight for 15”. They are also arm-in-arm with the NAACP on these events. Make no mistake, this is about creating unions in Higher Ed institutions. Here are the ABC’s of Faculty Forward for those who wish to look into them. REGISTRATION IN A STATE DOES NOT IMPLY ENDORSEMENT, APPROVAL, OR RECOMMENDATION OF NWF BY THE STATE. Appears to launder non-profit group donations and redistribute them. 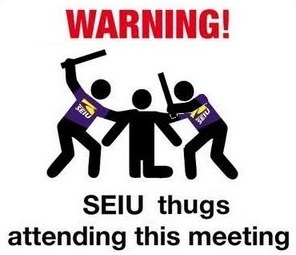 This entry was posted in Higher Ed, LL1885, Protests, The Articles, THE LEFT, Unions and tagged Bryan Perlmutter, Faculty Forward, Femi Mimi Brown Shittu, Irving Allen, Jen Myers, Madeleine Scanlon, seiu, UNC BOG. Bookmark the permalink.